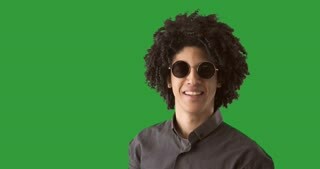 Search Results for "sunglasses chroma key"
Young latin formal woman making a video call or recording video blog on a Green Screen, Chroma Key. Emotional happy and positive beautiful young woman talking and walking with hands in pockets on a Green Screen, Chroma Key. 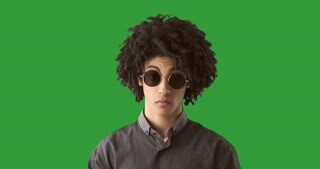 Cute girl making selfie walking on a Green Screen, Chroma Key. 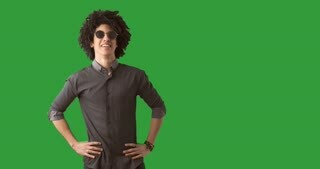 Young happy smiling man with backpack recording vlog blog with his phone on a Green Screen, Chroma Key. Authentic room with undone bed and every day itens on the table.